If you've been in a motor vehicle crash, there are a few very important things to remember, no matter who you retain as your lawyer. The smartest thing you can do is to download the Hudson Law Office CRASH App to your Smartphone. It will make sure that you don't forget an important step in the process. You can find out more HERE. Click Here to Download and Print this PDF file and save it in your glove compartment just incase of an accident. MUST-DO #1: REMEMBER WHO YOUR FRIENDS ARE. The insurance companies are not working FOR you. They are working AGAINST you. This means that anything you say to anyone may wind up costing you. Don't make any kind of a statement (especially a recorded statement) until after you have consulted a lawyer. MUST-DO #2: TAKE PICTURES OF YOUR BODY. The bruises from the steering wheel and the shoulder harness are gone in a few weeks. So are the burns from the airbag. It is easy to forget how bad they were, and the insurance company tries to minimize them in front of the jury. The ONLY way to have an accurate record is to shoot photos now. Lots of them. From every angle. In sunlight and artificial light. Then give the photos to your lawyer right away. MUST-DO #3: TAKE PICTURES OF YOUR VEHICLE. If it is a total loss, then it will be gone soon. If it's not totaled, it will be repaired. Take lots of photos, making sure that you have images showing every angle, documenting how much damage was done by the impact. After all, if the impact can bend steel, imagine what it can do to flesh and bone. MUST-DO #4: GET NAMES, ADDRESSES AND PHONE NUMBERS OF EVERYONE WHO SAW THE ACCIDENT OR WAS PRESENT IN YOUR VEHICLE. Have them write a short narrative, including what everyone said after the accident. Memories fade quickly. MUST-DO #5: WRITE OUT YOUR OWN NARRATIVE ABOUT THE ACCIDENT, BUT GIVE IT TO NO ONE EXCEPT YOUR LAWYER. Be sure to include all of your injuries. You will probably become progressively more sore for a period of three to five days after the crash. This is the normal way that your body reacts to the traumatic insult of a motor vehicle crash. MUST-DO #6: KEEP YOUR MOUTH SHUT. There is an old saying: If you don't speak, you can't be misquoted. The first time you answer the phone to talk to the adjuster on the other side, you could be in trouble. They say, “How you doing today?” and you say, “Fine.” That can be enough. When you someday give your deposition, the lawyer may ask you, “When you spoke to Mr. Smith on February 28, 2012, isn't it true that you said you were fine?” Don't subject yourself to this. Let a lawyer do your talking for you. MUST-DO #7: CONTACT AN EXPERIENCED INJURY LAWYER RIGHT AWAY. Over the years, it has not been unusual for insurance companies to offer settlement checks within a day after the accident. This is long before you even know how badly you are hurt. It often takes up to two months before certain serious injuries are even diagnosed. If you have taken the insurance company's check for $2,000 on the second day after the accident, you can never go back to get more compensation, even if you find out that your injuries are permanent and disabling. The first few days after your accident may determine the outcome of your claim. Speak to a lawyer as soon as you can. 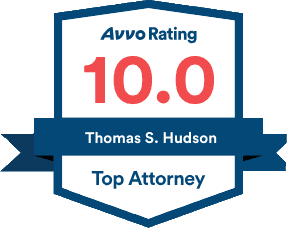 At the Hudson Law Office, we have helped individuals get justice for over 30 years. Let us help you. Contact us by calling (941) 358-5400 immediately for a free consultation. You never pay a penny out of your pocket for aggressive and tough representation against the insurance company's professionals. We look forward to working for you!